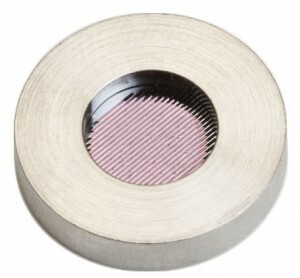 Moxtek® is a leading manufacturer of X-ray windows for low energy X-ray detection. Moxtek manufactures ultra-thin polymer X-ray windows that are attached to metal mounts which house energy dispersive X-ray detectors such as Silicon Drift Detectors (SDDs). These windows allow for transmission of low energy X-rays while maintaining a hermetic seal critical for the X-ray detector’s performance. While Moxtek ensures that all windows meet published limits for leak rates, no material is a perfect gas barrier and gasses will diffuse through window assemblies over time. As a continuous improvement effort, Moxtek investigated the effects of plasma cleaning the metal mounts before attaching a window, and achieved around a 40% reduction in the diffusion of helium through the epoxy-to-mount interface. One of the primary functions of an X-ray window is to act as a gas barrier. It is well known that no material is a perfect gas barrier. Gasses diffuse at different rates through materials depending on many factors. Diffusion was measured at different locations on the window assembly and the epoxy-to-mount interface was identified as a significant source of diffusion. Efforts were made to reduce diffusion at the epoxy-to-mount interface. Moxtek evaluated the leak rate of helium in a window blank and metal mount assembly. The window blank was used to eliminate the diffusion signal from the thin polymer film, thereby concentrating on the diffusion through the metal-to-window frame seal. Helium is an industrial standard in vacuum leak detection. Helium is a small, inert molecule; a reduction in the diffusion of helium through Moxtek window assemblies is a good indicator that the diffusion of other gasses should be reduced as well. 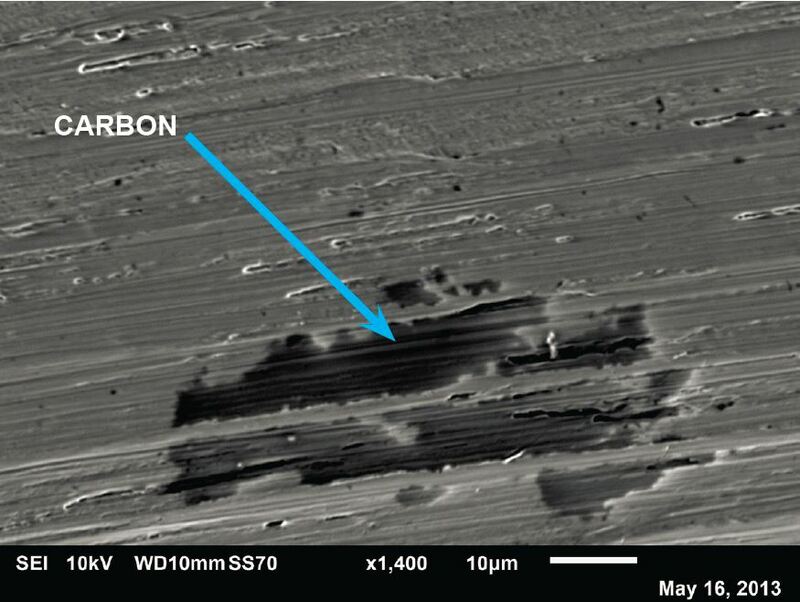 Surface conditions on the metal mount, such as contamination and surface energy, play a key role in adhesion of the epoxy to the mount which effects gas permeability. The effects of different plasma cleaning processes on the surface of the metal mounts were also evaluated by Moxtek in order to optimize adhesion of the epoxy to the mount. Diffusion of helium through Moxtek AP3 window assemblies was measured by using a fixture designed to eliminate the effects of helium diffusing through anything other than the area of interest, and by using a window blank to isolate diffusion through the metal-window frame seal. Window assemblies were exposed to helium for long periods of time until a steady state diffusion rate was achieved. 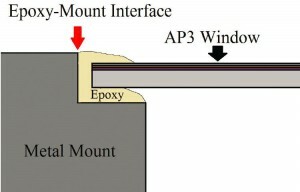 The epoxy-mount interface was one area identified as a source of diffusion (Figure 1). In order to reduce diffusion of gasses through the epoxy-mount interface, plasma cleaning the mounts was investigated as a way to reduce surface contamination on metal mounts and to increase wettability of the epoxy. 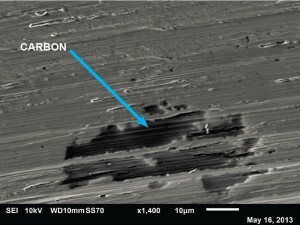 SEM/EDS analysis was done to check for possible contamination on the metal mount before and after plasma cleaning. 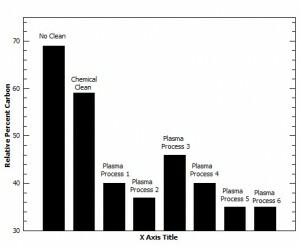 XPS was done to compare plasma cleaning processes and a chemical cleaning in their effectiveness in removing contamination. Wettability of the epoxy on the metal mount was evaluated by checking the surface tension of the metal surface using dyne solutions. Finally, solid metal disks were epoxied into window mounts so that all interfaces with the epoxy would be epoxy-to-metal. Some mounts were plasma cleaned prior to attaching while others were not. All parts were then evacuated on the vacuum side and then exposed on the other side to 1 atm of helium for 10 hours allowing a steady state diffusion to occur. Diffused helium was detected using a helium leak detector. contamination than only using Moxtek’s standard chemical cleaning. Increasing the wettability or surface energy of the metal mount is another key factor in improving adhesion. 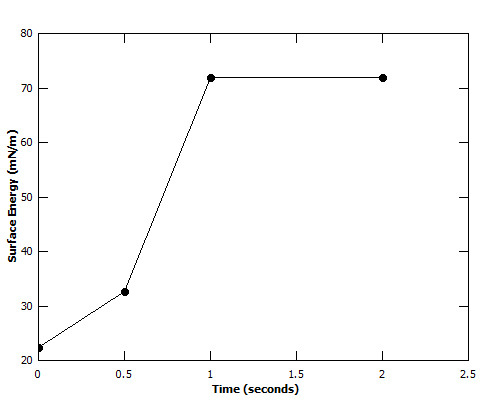 Figure 4 shows the effect of plasma exposure times on surface energy. The highest dyne solution was 72 mN/m and was reached within 1 second of exposure to plasma. 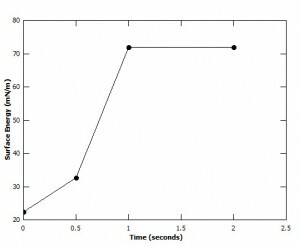 It is possible that the surface energy continued to rise after one second, however; the rapid increase in surface energy over time measured in this experiment was sufficient for this application. The final test, Figure 5, was to measure the diffusion rate of helium through the epoxy-to-metal interface of assemblies where metal mounts had been plasma cleaned and metal mounts that were not plasma cleaned. 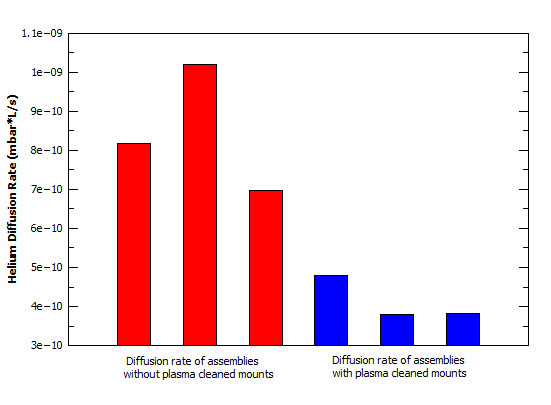 The bars in red are the helium steady state diffusion rates of window assemblies whose mounts were only chemically cleaned. The blue bars show the steady state diffusion rates of assemblies whose metal mounts were plasma cleaned by Process 6 from Figure 3 prior to attaching the solid metal disks. A 41% average decrease in helium diffusion rate occurred in parts that received a plasma clean from the ones that did not. Plasma cleaning metal mounts reduces carbon based contamination and increases the surface energy leading to better adhesion of the epoxy to the metal mount. Understanding the effects of different plasma processes on surface conditions is critical to achieving a better bonding surface that reduces the diffusion of gasses, including helium, at the epoxy-metal interfaces. While no material is a perfect gas barrier, Moxtek is continuously working to improve the hermetic properties of X-ray windows.